Firstly Wish You all A Very Happy 2013!!! Hope you guys had a rocking New Years Eve Party. As the popular belief is that what you do on the first day of the year, you land up doing for the rest of the year. So being a bit wary of that I decided to make sure of two things: i) that I am partying at midnight :-) and ii) I remove all my makeup before hitting the bed which I was horrible at doing in the month of December. 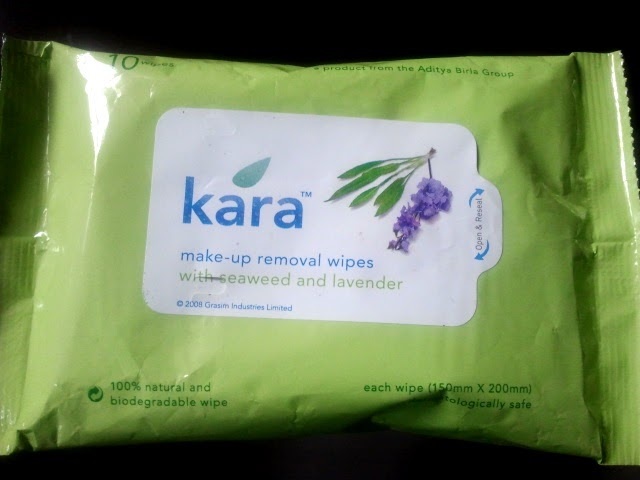 Product: Kara Make-up removal wipes. These are 100% natural and biodegradable; yes I will care a lot more about my environment this year. Review: I have used these wipes earlier too. I got the ones with Seaweed and Lavender this but dint get any fragrance of either from the wipe. When I used it for the first time I dint expect much but I thought it is a convenient option while travelling. To my surprise this also removed all my New Years Eve makeup including a major part of the very tough waterproof mascara. 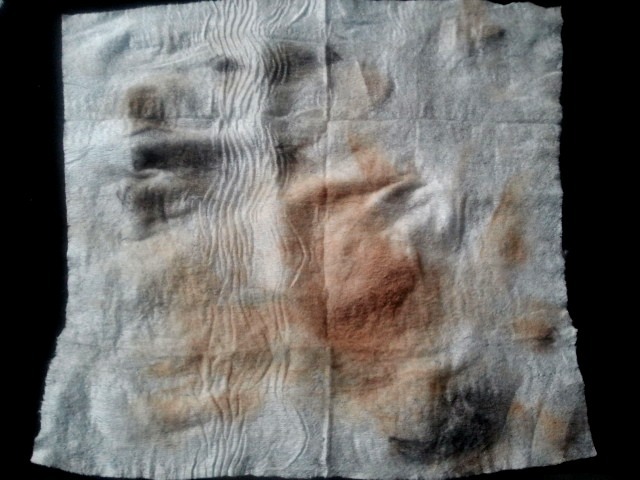 One wipe was sufficient for my face including eye make up and neck. Here is a pic. 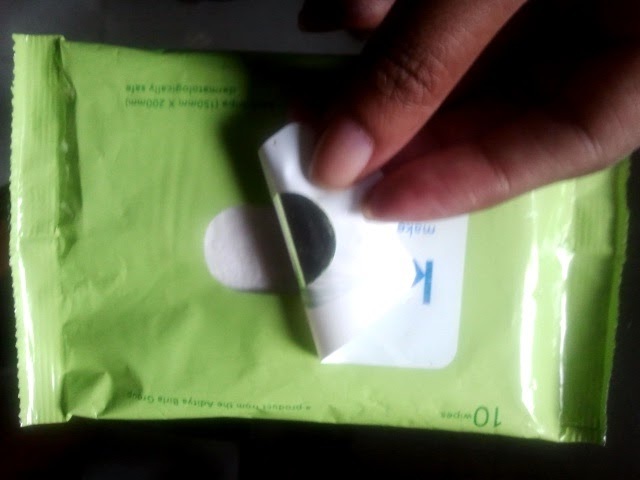 I must admit I dint expect it to remove my eye make up so when it did remove a whole lot of it, I was surprised. however one negative point is though the expiry date is 2 years after manufacturing date and mine is already 1 year from the manufacturing date, the wipe was kind of drying off. So be ware of the manufacturing date while purchasing the product and make sure to store it with the opening side to remove the wipes, facing down. Pic of the opening side below. Note: I do follow up with a face wash after cleansing with a cleanser as well as the wipe. Verdict: A good pack to have while you travelling but cannot replace my daily make up remover as I feel really clean using a make up cleansing lotion. These look so nice! I've tried makeup wipes before and was never too pleased with them, but these seem really great!